Seems like a strange juxtaposition of terms comfort and defense…but the concept is that you have developed a set of defensive mechanisms that have protected you in life up to now. These are a result of missed-connections in your parenting and missed-understandings and missed-communications in your social relationships…through family, friends, teachers, and supervisors…even your clergy can at times miss in their target of teaching. The defensive position is ..the interpretation plus reaction… you developed as a result of those missed-interactions. If you find yourself having the same fight — again, — shift your reaction by trying to understand what is stressing your partner, child, friend or colleague… then you may be able to help alleviate the stress and find a new and more secure way to connect. Begin by aligning fully with yourself, while completely aligning with your friend, partner, child, or colleague… in that space of complete alignment you are standing in the center of both paradigms. 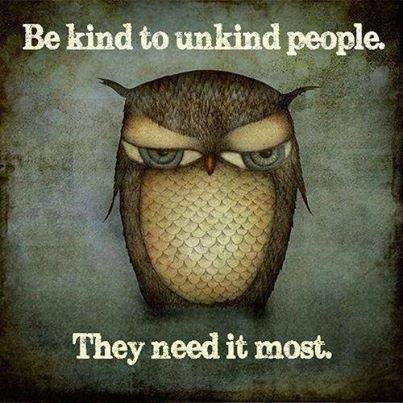 It requires empathy, boundaries, and inner security. 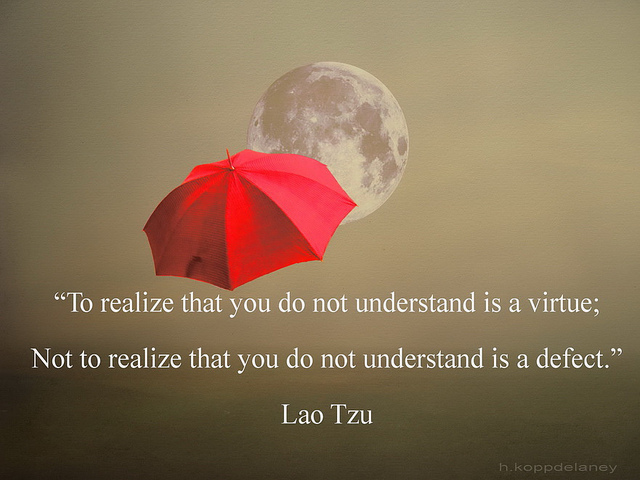 You must empathize with the other while you have compassion for yourself. You have to understand where your responsibility for yourself begins and ends and your responsibility to the other person begins and ends. And you have to have a sense of knowing (confidence rather than insecurity) or security. or you interpret the other as attacking you, rather than having compassion and empathy. This action (or reaction)where you fall back to comfort defenses is the way you reset in a war. When a person is in a war he advances, when the attack is too strong the person falls back to a comfort defense, a place where he can reset and recuperate. That’s what happens with stress. Stress challenges individuals at a core level and causes each to feel the need to fall back and recuperate…the natural or rather knee jerk reaction is to become defensive and interpret the other person as attacking. The best way to respond rather than react is to focus on your feelings, your sensory guidance system…what are you feel in your senses…then you align with your feeling BUT not with your historical interpretation of what that feeling means. By unlinking your feeling, from your interpretation of what that feeling means about the other person, you are creating the space for empathy (compassion), boundaries (paradigm recognition and shifting), and inner security. 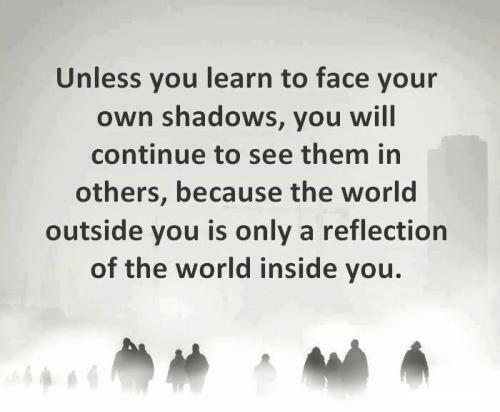 Catch yourself when you are in the fall back position. Catch yourself when you have raised a shield of protection, defensiveness. Catch yourself when you feel alone behind a rigid wall of your own creation. Catch yourself when you feel yourself pulling back your heart from the situation. Truth is held at the center of all paradigms. When you allow yourself to release your attachment to something being a certain way then you are free to shift your paradigm and connect. Take the time now to understand what matters to you. Look for ways to be congruent in your beliefs, your thinkings, and your actions. Allow your words and actions to align with each other. intention, I want to heal or uplevel my consciousness. insight, I am projecting from a habit reaction pattern of reacting. gratitude, This conflict is a gift to assist me in righting an inner misbelief or loss of faith. and forgiveness, I forgive myself for how I disowned my needs; I forgive you for the injury caused knowingly or unknowingly. How these steps direct you is through the focused energy of your personal sensory guidance system and your heart led healing rather than psych (mind) or cognitive/behavioral led healing alone. Spirit must be engaged and in the lead in order for a transcendence through thought-based, limiting beliefs. You can find out more at http://www.bethgineris.com. Your heart knowing is Always communicating to you about what you need and who you are through your personal sensory guidance system of senses. Listen to your sense reactions, your instincts, your intuition. 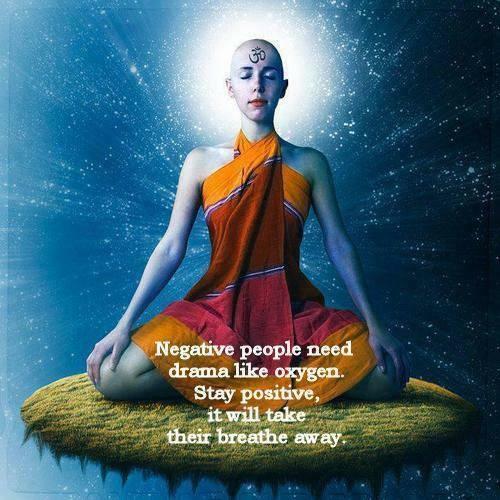 Learn to interpret your feelings so that you can see what is your projection and what is universal… focus on intention, insight, gratitude, and forgiveness as an integrated system, informed by your sensory system (which includes intuition) and you will live in a different world. This is a quantum shift in consciousness led by your heart spirit connection. In each interaction, perception, and action the world can be created anew. Find your way home. 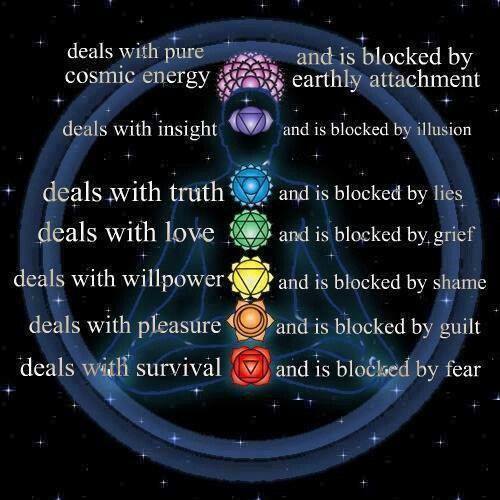 from may 23,2014, energy blockages released. These steps are outlined in Beth’s upcoming book, 6 steps to transcending conflict and elevating consciousness, due out in 2014. You may participate in seminars to learn these techniques through her website. 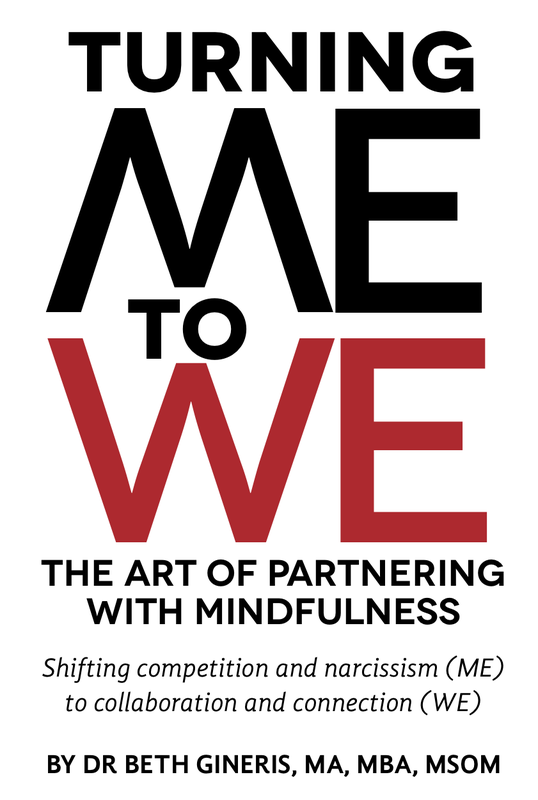 This book is the HOW TO companion book to Turning Me to WE: The Art of Partnering with Mindfulness(2013). Categories: Balance of Spirit Mind and Body category, consciousness development, Mindfulness living category | Tags: attitude of gratitude, balance, balance of spirit mind and body, consciousness development, discipline, healthy relationships, inner and outer reflection, instinctive health, paradigm shifting, stress effects | Permalink. A friend requested elucidation of how the Me-style works if you are the one who gives yourself away by not holding or setting boundaries, especially when you are in partnership with a person who tends toward narcissism. The me style is the concept ‘two halves make a whole’ perspective. If in your situation you are the one who can’t say no, you have difficulty setting the boundary. If you are partnered with a narcissist, your partner has no capacity for empathy, no ability to actually see your point of view. 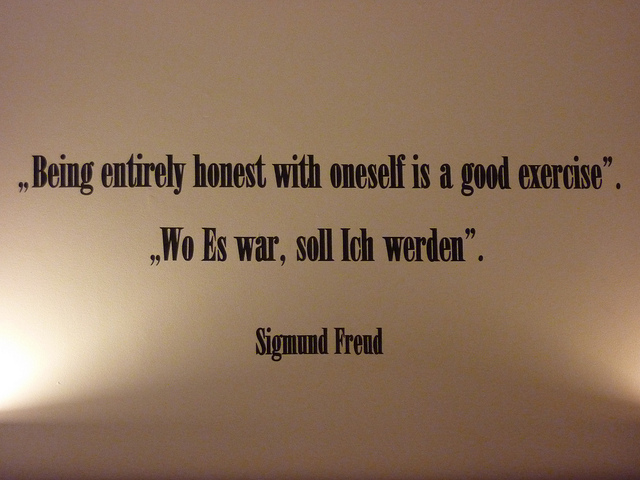 In psychological terms a person who is narcissistic is not specifically selfish – you can be selfish and not be narcissistic. To be diagnosed as a narcissist you have to lack empathy. The other diagnosis that has no capacity for empathy is a sociopath. What the two have in common is this lack of empathy. Typically people who are caught in relationships with either sociopaths or narcissists have poor boundaries and lack self esteem (undeveloped inner security) and so don’t say no. They lose their sense of me, giving it away to their partner in hopes to feel/be loved. The question where is the me is an apt one. The set of parameters for the me-style is dependency, diffuse or no boundary, lacks empathy, inner insecurity. Remember it’s a style of partnering – so the driving focus is the driving me-need (for the giver away of self – the me-need that is driving is a need to be loved by an other – so although it looks like there is no me on her/his part, s/he is being driven by an insecurity me-need). YOU can strengthen yourself by developing a healthy set of boundaries (defining and living through a set of boundaries of what is reasonable to give and take in relationship) and a healthy style of saying no ( identifying when you feel taken for granted by developing your awareness of your senses) as well as developing your inner security (discovering what you want and not accepting less than that- this includes recognizing your strengths and your limitations, and how these play into what you want in relationship). Setting up these boundaries, increasing your sense of inner security, and developing compassion for yourself and your partner will get you ready for an independent, I-style relationship. You may either grow together into a clearer more bounded relationship OR you may release each other to develop the next style of relating: Two circles 00 walking side-by-side independently with firm, clear boundaries. In this, the I-style, you may have to deal with stiffer boundaries as you develop your capacity to say no. You may even find you are less flexible because you are defining those lines that you do not want crossed. Once you feel comfortable in that kind of relationship you can develop flexibility with your boundaries and your paradigm recognition, shifting, and integration…. Thus allowing you to easily Move Into interdependence, through focus on connection and collaboration where both parties matter and a we-style of relationship. Development through the different styles is a process. Once you know where you are in the series of Me, dependent (co-dependent, driven by a set of inner insecurities), diffuse boundaries; I, independent (rigid boundaries, unable to say yes, due to a fear of losing self); We, interdependent, flexible boundaries focused on what you want rather than what you fear; then you can use that knowledge to develop qualities of empathy, boundaries, and inner security to get unstuck and achieve a more mutually satisfying relationship. 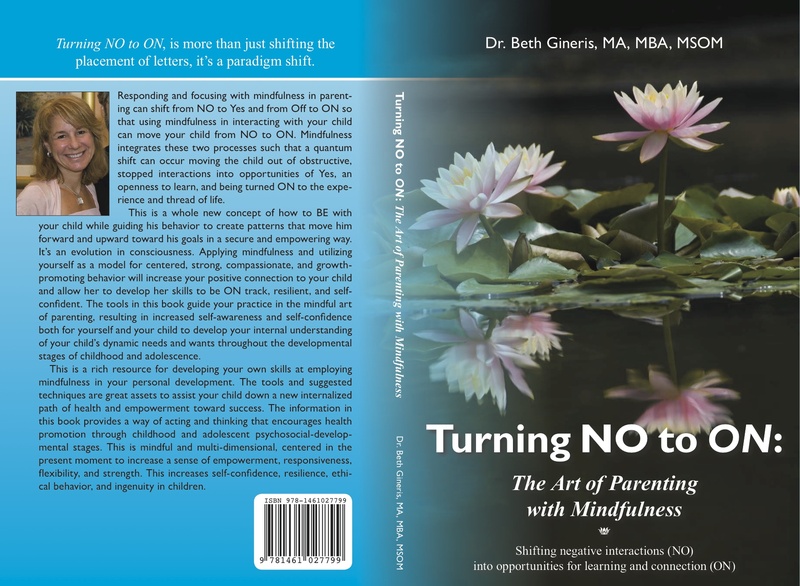 You can find out more in Turning NO to ON: The Art of Parenting with Mindfulness, (Gineris 2011); Turning ME to WE: The Art of Partnering with Mindfulness, (Gineris 2013). Categories: Balance of Spirit Mind and Body category, coaching category, consciousness development, Mindfulness living category, spiritual development | Tags: attitude of gratitude, balance of spirit mind and body, consciousness development, freedom, healthy relationships, instinctive health, internal sensory guidance system, narcissism, relationship, turning me to we, upleveling consciousness, verbal aikido | Permalink.